It’s your last week to play the online scavenger hunt. AFTER FIVE YEARS of producing Portland’s No. 1 magazine, we figured it was high time to launch Portland’s No. 1 web site. Whether you’re looking for a trail to test your mettle or a relaxing weekend getaway, a rollicking bar or a quiet table for two, we’ve got you covered. 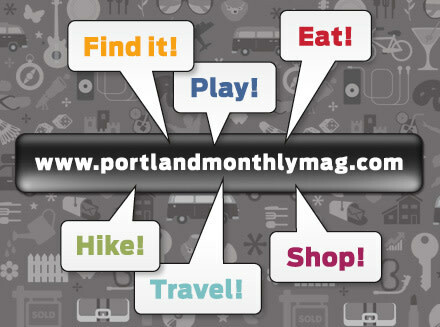 From the city’s trend-setting shops to the best neighborhoods to live in, Portlandmonthlymag.com has everything you need to explore the city you call home. Play the SCAVENGER HUNT now!